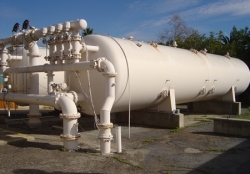 The Ortega Groundwater Treatment plant was being upgraded to ensure compliance with stricter drinking water regulations and allow the City of Santa Barbara to continue to use groundwater to replace water supplies lost during drought and other emergencies. The facility treats groundwater pumped in the downtown area. PCL Construction was awarded the $5.5M project to construct the upgrades. LEI is providing schedule review services as a sub consultant to Penfield & Smith. The Contract Special Provisions require the use of monthly Primavera P6 progress submittals, and Time Impact Analysis’s for change order work asserted to delay the overall project.